From addressing the core members of the Congress Working Committee (CWC) during the day to symbolically lighting the candles with the Opposition in a display of unity at Jantar Mantar in the evening, Congress president Rahul Gandhi had a packed day on Saturday. 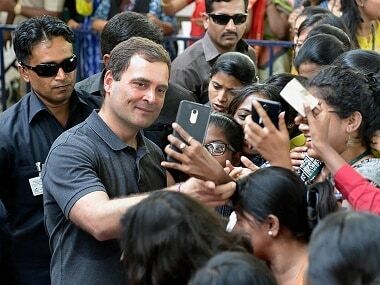 The signs were clear — Congress has begun its groundwork for the 2019 General Election in earnest to counter the Narendra Modi behemoth. Congress made it clear at its CWC meeting Saturday and thereafter in the evening that the party has begun working to get the alliance chemistry right. Immediately after taking over as Congress president, Rahul, while chairing his first CWC meeting on 22 December 2017 (CWC wasn’t reconstituted then), had emphasised on organisation restructuring, revamping party’s state units (Pradesh Congress Committees), building new teams, bringing new faces, discipline among party cadre and to hold the CWC meeting once in every two months to effectively counter the Modi juggernaut. "I would like that we institutionalise a meeting of the working committee, maybe once every two months and we just close the date. 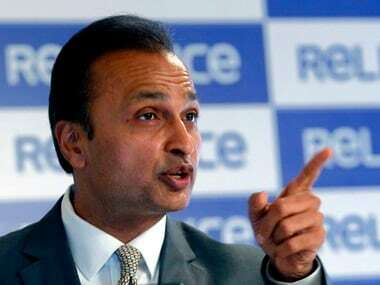 And, every two months automatically, the working committee meets so that we can hear what you want to say and what the nation is feeling,” Rahul had said. 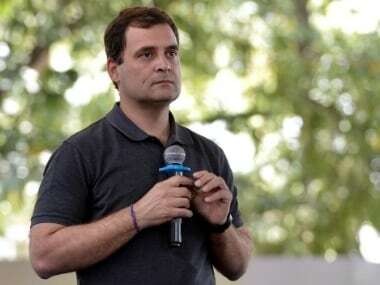 But considering the gravity of the upcoming Assembly election in Rajasthan, Madhya Pradesh and Chhattisgarh by the end of this year, and the 2019 Lok Sabha polls thereafter, the Congress president reiterated Saturday that the CWC should meet on a regular basis — unlike in the past — in a month or one-and-half months and the discussion should be on important issues, so that decisions can be taken by the party to carry it forward. Besides, issues of alleged corruption in the Rafale deal, banking frauds and growing unemployment as well as entering alliances with non-BJP 'like-minded parties' from the Opposition block was the key area of discussion. 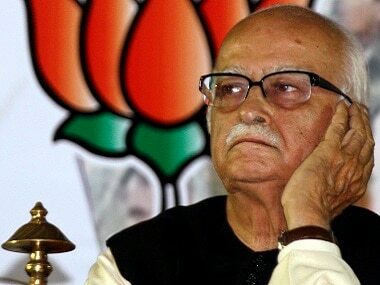 "Modi won’t have second chance in office, if Congress gets its alliance game right,” asserted top party sources on Friday. The party sources had also said that as part of the strategy to counter BJP-RSS combine, the Congress' role would be to provide a platform to all opposition parties and unite them against the BJP-RSS combine. 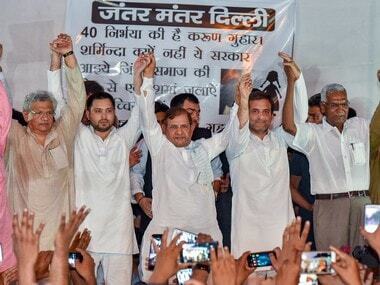 Rahul conveyed the same message on Saturday evening by joining Rashtriya Janata Dal (RJD) leader Tejashwi Yadav and other leaders from Opposition parties including CPI and CPM at Jantar Mantar. “Congress has a natural alliance with RJD supremo Lalu Prasad Yadav in Bihar and today while standing by Tejashwi Yadav and other Opposition leaders, the Congress has made its role clear on getting alliance partners together against the NDA government,” a senior Congress leader said. In a bid to make the grand alliance work, Congress has already made its stance clear on the possible factor of dispute like the leadership issue. Almost a week ago, the Congress party had expressed its willingness to support Mayawati or Mamata Banerjee or any other candidate — who’s not backed by the RSS or the BJP — for the prime ministerial post in the upcoming 2019 Lok Sabha election. Prior to it, Congress had announced that party president Rahul Gandhi would be its prime ministerial candidate. It seems the Congress president doesn’t want to lose any opportunity unlike in the past, when he was known to be as an ‘absentee leader’. According to party sources, in Saturday’s CWC meeting — second within a period of two weeks — Rahul presented a road map on how to go ahead with a new narrative to the public, both individually and jointly with other opposition parties. "It was decided on how to narrate the issues of corruption like the Rafale deal, banking frauds, unemployment amongst youth, agrarian distress, rise in lynching cases, atrocities against Dalits and minorities, etc, in the days to come and amplify their effect," a member present in the CWC meeting told Firstpost. Congress party wants to build a mass agitation on the issues of falling economy, unemployment and farmers’ distress, by raking these both inside and outside the Parliament. Senior party leaders will chalk out a blueprint along with Congress general secretaries and members of the state and district units. "The Congress president wants our party workers and leaders to take up these issues outside the Parliament at all levels, whereas our MPs would raise them from the floor of the Parliament. We will compel government to respond,” said AICC communication in-charge Randeep Singh Surjewala.